It's mini, but it does the maximum job! 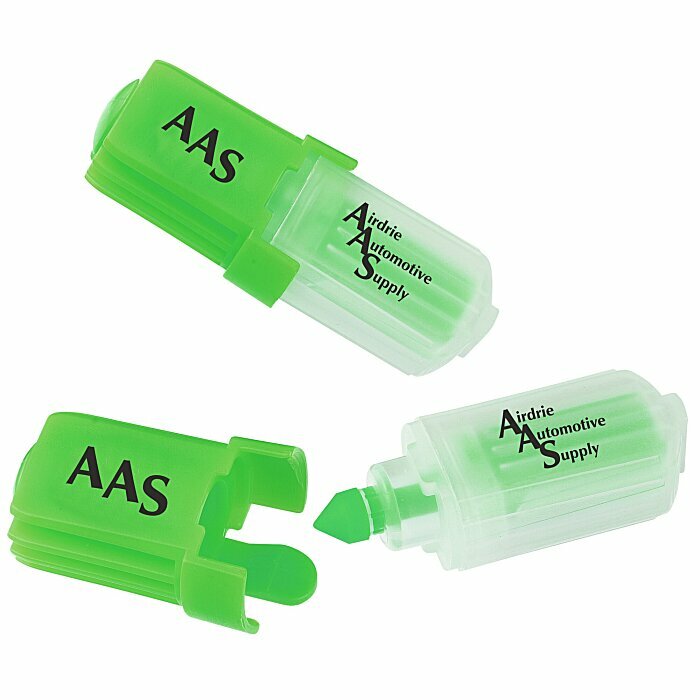 Measures only 2-1/4" in length, yet contains as much ink as most pen-style highlighters! Features non-fading, non-bleeding ink and comes with a handy pocket clip on cap. 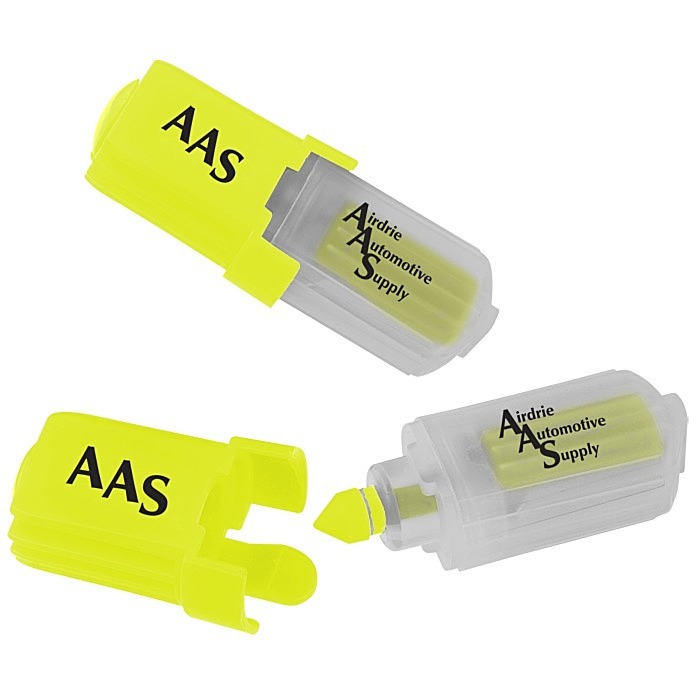 Cap and clip on clear highlighters will match the ink color. 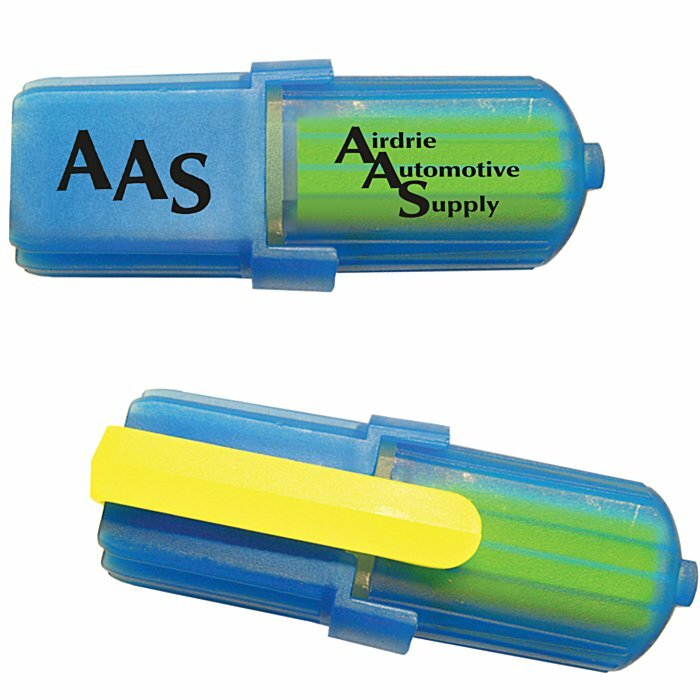 Translucent Blue body and Cap includes Yellow ink. Your price includes a one-color imprint on the body and cap (must be same color on both).